George Nikolaou is the Executive Director of Financial Services at the New Jersey Innovation Institute. He is the founding Executive Director of NJII’s business unit focused on Financial Services Innovation. The lab works to bridge the gap between the academic resources of NJIT & other local institutions with the Financial Industry, supporting the development of applied solutions. Payments, Blockchain applications, Data Analytics, deep learning, automated investment advice, and IoT applications within the Insurance industry are some of the many solution areas. 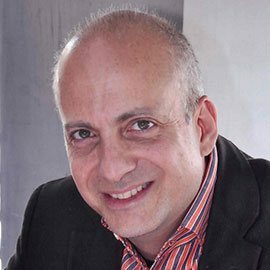 Originally from Greece, George has worked for renown institutions in the US such as IBM & Deloitte, while also serving in Executive roles at Pylon Corporation, Virtual Trip Group, First Data Corp. EMEA, and, now, the New Jersey Innovation Institute.